The Safety Sure Transfer Sling is a universal transfer aide with multiple uses and applications. The sling uniformly supports patients weight and eliminates hand grasping that can result in bruising or skin sheers. Non-slip inner surface helps keep the sling from riding up during the transfer. 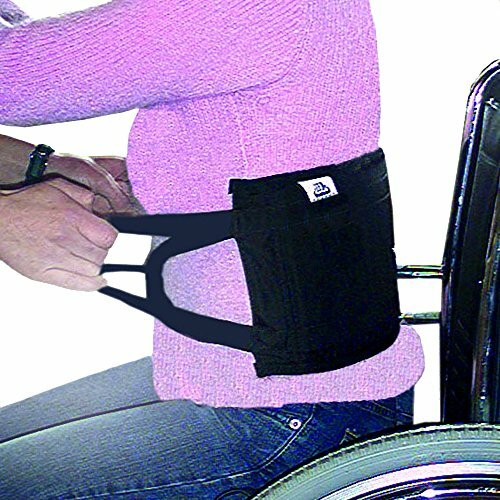 Two hand grips on either side provide the caregiver with a variety of leverage positions. Lifting capacity 250 lbs.